We had earlier reported about Aprilia SR 150 getting launched in India in coming months. Now, the actual Aprilia SR 150 bike has been spotted testing in a dealership in Pune, Maharashtra. The Aprilia SR 150 model which is seen in the image was being taken to Automotive Research Association of India (ARAI) for homologation purposes before its official launch which is expected to happen in the month of August. The manufacturing of Aprilia SR150 will happen at Piaggio’s plant which is located in Baramati, Maharashtra. The Aprilia SR150 comes equipped with a 150cc engine as you seen on the Vespa. The only difference is Aprilia’s engine comes in different state of tune than the Vespa ( Read our review on Vespa SXL 150 ). Currently the engine is expected to produce 12 PS of power and 11.5 Nm of torque. The air cooled 3 valve engine sends power to the rear wheel with the help of a CVT transmission. 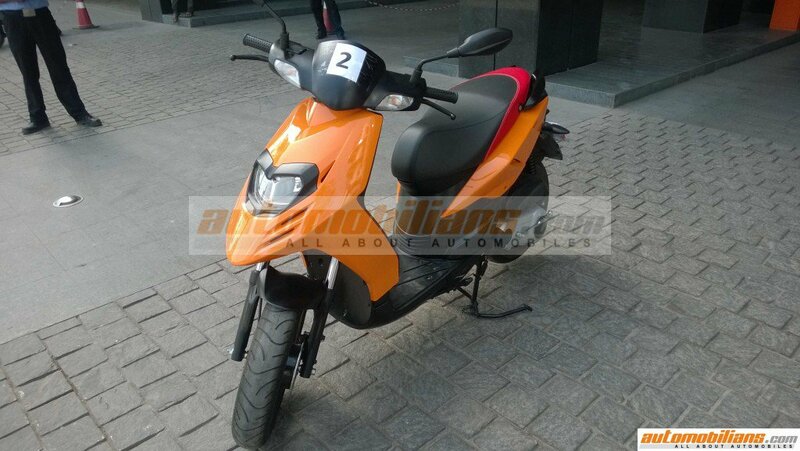 The Aprilia SR150 will be India’s first Sport-Scooterbike which was showcased at the 2016 Auto Expo that was held in February. SR150 comes equipped with 14 inch tyres wrapped in sport street tyres. The braking duties of SR150 will be performed by a 220 mm disc brake and a 140 mm drum brake at the front and rear respectively. Piaggio India, the parent company of Vespa and Aprilia has not revealed any details regarding the price of the SR150. The bike is expected to be priced in the range of Rs 80,000 to Rs 1 lakhs. What do you think about Aprila SR150? Let us know by commenting below.